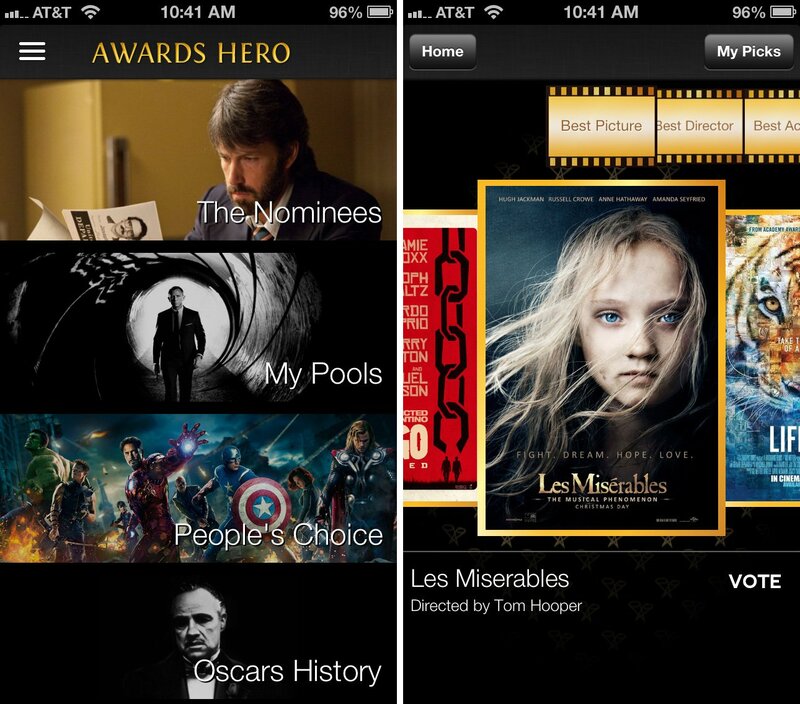 The 2013 Oscars are right around the corner and if you can't crash in front of your tv to see all the action live, your iPhone or iPad is a great way to keep up to date with what's happening. 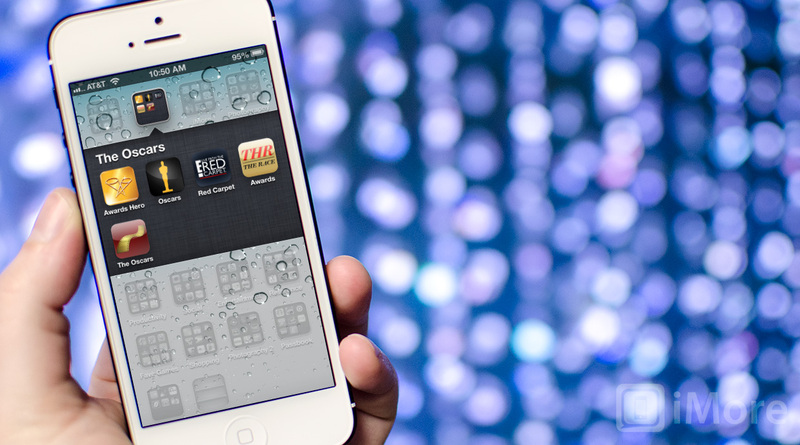 From the official Oscars app to third party apps, there's something for everyone. 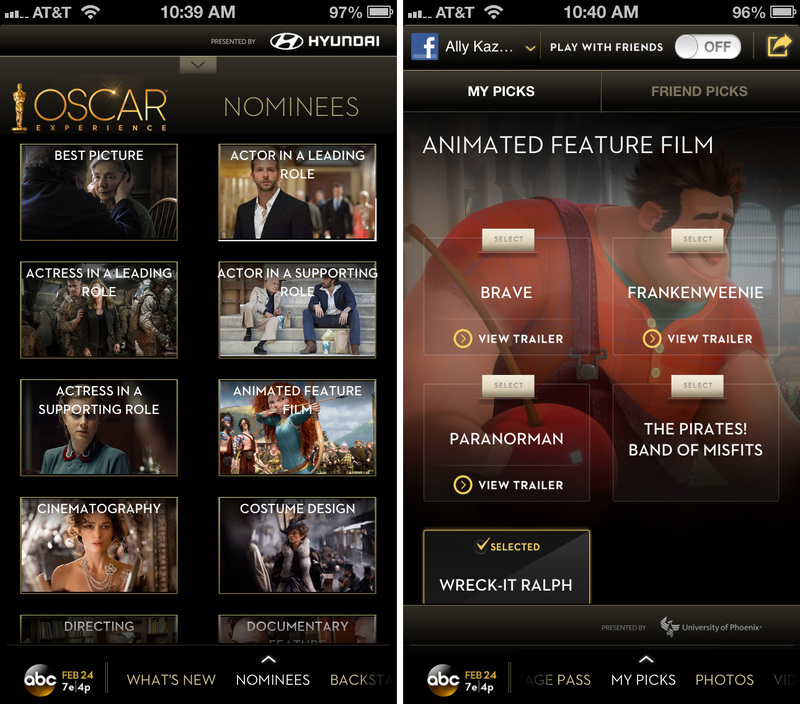 The official 2013 Oscars app is designed for both iPhone and iPad is a great companion app for keeping up with what you can expect on Sunday. Before hand you will get access to nominee lists, movie trailers, photos, and more. There's even a game called Your Picks that lets you plot out who you think will win come Sunday. You can then share those predictions with all your friends and compare. On actual event day, the Oscars app for iPhone and iPad will give you exclusive video content such as access to the red carpet, backstage passes, and more. You'll also see who's winning what which makes for a great way to keep up if you're out and about and unable to watch the show live. If you're excited for the Oscars or just want to know more about the nominees, Awards Hero: Oscars Edition is a great find. You'll have access to all the nominees and be allowed to pick your favorites and share them with friends. The coolest feature of Awards Hero is the amount of background information you get on all the nominees. You can also view tons of historical information on past Oscars awards shows which can help you kill time before this year's show. This one's also compatible with both iPhone and iPad. If you want to know what celebrities are attending the Oscars and who's showing up with who, E! is sure to have the scoop, and then some. E! is always on hand to cover large events like the Oscars and their app should be chock full of both red carpet arrivals and celebrity interviews. While this isn't an official app or centered directly around the Oscars, E! Live from the Red Carpet is sure to have lots of Oscars coverage come Sunday. E! Live from the Red Carpet is also compatible with both iPhone and iPad. 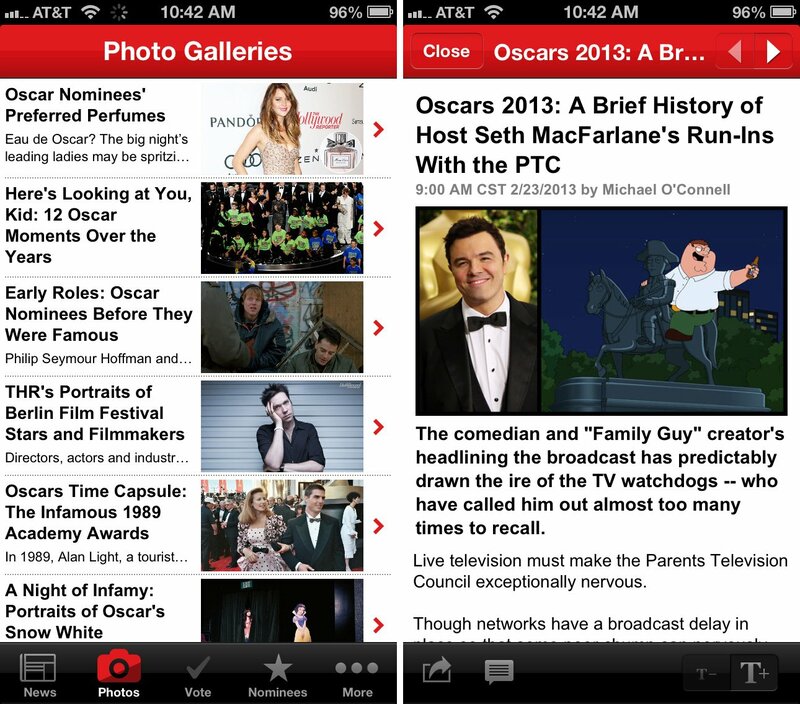 If Hollywood gossip is your thing, Hollywood Reporter: The Race to the Oscars is a must have app. Not only will you be given exclusive content and interviews with celebrities, you'll also get the scoop on who's attending, with who, and who's feuding this year. Outside of the normal gossip you'd expect from Hollywood Reporter, you'll also be able to pick your favorites and view all the buzz about the Oscars on Twitter and other social networks. This one is iPhone only. If you want coverage of the Oscars plus all the gossip, The Oscars news is what you'll want to grab. Not only will you get coverage before and during of the Oscars, but you'll get all the latest scoops on celebrities in attendance. The cool part of The Oscars news is that it filters in content from all the major news outlets such as TMZ, The Hollywood Reporter, Ok!, E! online, and more. 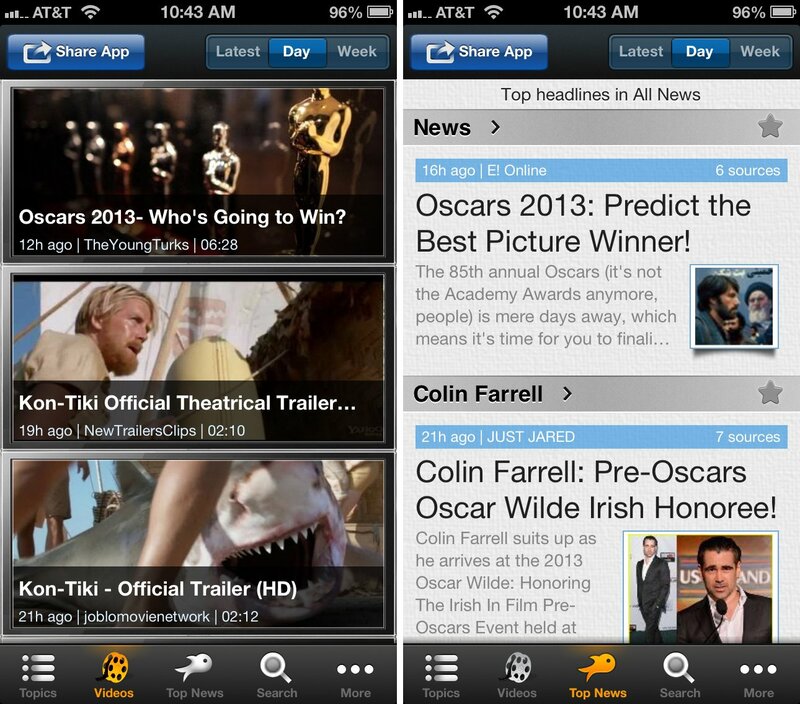 If you're looking for an all-in-app app with information about nominees, clips, coverage, and gossip, this is it. The Oscars News is currently iPhone only. If you've found a super cool app focused around the Oscars, make sure to let us know by dropping it in the comments below. Either way, let us know how you'll be following along this year!